They are compact. They are reliable. They are economical and optimized to your needs. Our customized power distributors, REDline Power Boxes, and REDline Central Electrical Units are the ideal solution for the power supply and the switching of functions in your application. Whether as central electrical unit with or without our ICCS controllers or as power boards for use in the high current range with or without housing - Our project management team will develop an individual solution for you that perfectly matches your application. 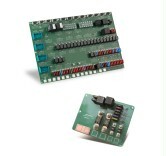 The REDline Power Boxes from Würth Elektronik ICS are the intelligent solution for various applications in the field of power distribution, signal transmission, and control of functions in mobile machines. You can benefit from the advantages of standard housings while at the same time implementing your specific requirements. REDline Central Electrical Units are compact standard modules that are suitable for the extension of existing central electrical units. 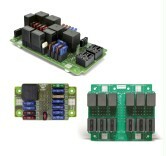 By combining the modules, you can create individual solutions for your vehicle’s electrical system.